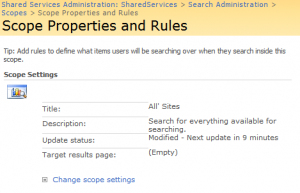 Home » SharePoint » Troubleshooting SharePoint: Your search cannot be completed because of a service error. 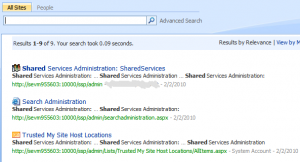 Microsoft.Office.Server.Search.Query.QueryMalformedException: Your query is malformed. Please rephrase your query. Obviously something is wrong with the search query here, and apparently it's a problem with single quotes in the name of the search scope. This completely baffles me. 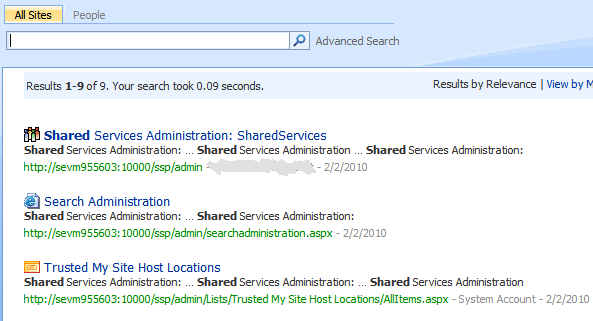 Is SharePoint really passing the name of the scope into the search query without escaping quotes? So I set out to test this out for myself. 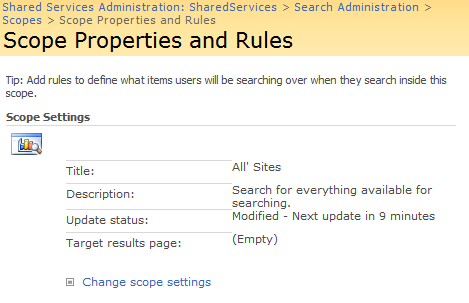 First of all I created a new temporary site collection and made sure the searching functionality worked. 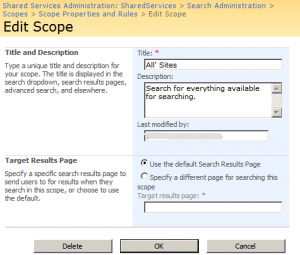 Then I went into the Share Services Provider and changed the name of the default scope from "All Sites" to "All' Sites" (notice the extra single quote in there). Then I had a 9 minute break while I waited for the changes to kick in. And here we are, 9 minutes later, testing the search. I was going to show a picture here, but it actually looks exactly the same as the last screen. 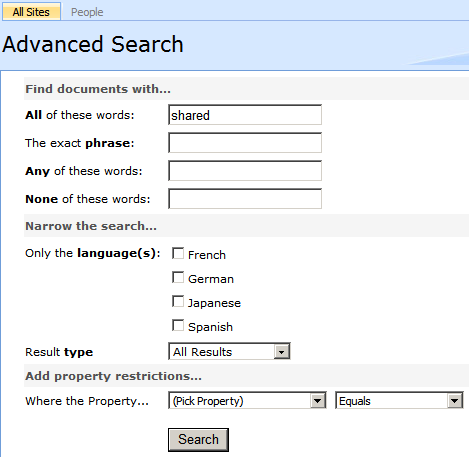 So the regular search actually seems to work just fine still, but the problem does actually manifest itself if you use the Advanced Search. If you hit the Search button, you should get something saying "Your search cannot be completed because of a service error. 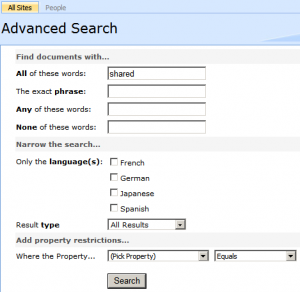 Try your search again or contact your administrator for more information." Log Query: Your query is malformed. Please rephrase your query. More Information: One or more errors occurred during processing of command. I still find this hard to believe, but there you go. 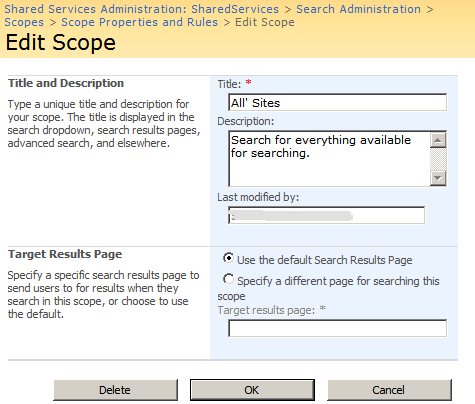 I went back in and removed the single quote from the scope name, and the advanced search went back to working just fine. If you run across this error check the name of your scope and make sure it doesn't contain any single quotes.